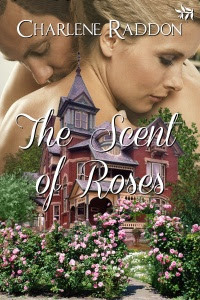 As part of Charlene Raddon's Promote Your Book/Promote Mine Blog Hop, we are featuring Charlene's latest release "The Scent of Roses", along with Carley Bauer & Lynette Willows first in a the Sons of Liberty series, "No Gentleman Is He". Be sure to read to the end of this page so you don’t miss out on the grand prize. Also be certain you visit each blog and comment to qualify for the individual giveaways, and the big prize. Noelle. After 30 years as a state contractor in a self employed capacity, she decided to try her hand at her first love, writing. She loves being an empty nester, free to travel with her husband. Still involved with her three grown on-their-own children, Carley loves big family events, where her home is filled with a passel of precious, precocious, precarious grandchildren. Some of her other hobbies are fashion, the occasional bite of the Big Apple where the excitement feeds her natural love of city life and home decor, which boasts a collection of Fenton Glassware. Carley's first book, 'No Gentleman Is He', was released by Tirgearr Publishing on March 7 of 2013. The first in the Sons of Liberty series, written by Carley and her co-author, long-time friend and writing partner, Lynette Willows, is ranked #1 in Goodreads Hor Reads for Summer. No Gentleman Is He can be found on Kindle, Nook, Smashwords, ITunes, Kobo, Sony, BookStrand, All Romance Books and OmniLit. Leave a comment with your email and the winner will receive a $5.00 Amazon GC. character interview with No Gentleman Is He heroine, Cassandra Courtney Brooks. Follow Carley and Lynette on Twitter. Young, adventurous and widowed in a new land, Cassandra Courtney Brooks finds her dream of raising a superior breed of saddle horse slipping away with the death of her husband. Left with four horses, living in a tavern attic, and her scant savings depleting, she resolves to see her vision through to fruition by accepting the scandalous position of steward at Varina Farms. Born in the image of his native ancestry, Colton Rolfe’s savage blood runs through his veins. Scorned by his father, Colt grew into a man of ill temperament whose only interest is the wild equine beasts on his plantation. His desire to breed his horses with the superior Thoroughbreds of the newly widowed Cassandra Brooks leads him to abandon societal rules. Colt’s growing resentment toward the Crown and his assistance to Sons of Liberty missions is complicated by the discovery that Cassandra’s father is a titled English nobleman. Cassandra is soon forced to question the wisdom of her decision when she finds herself enamored with her employer. As fiery passion grows between them, Cassandra realizes her own spirit of independence, love of the land, and the savage man who is so much a part of it. As the threat of war comes ever closer, wills are tested through gunfire, treachery, danger, and kidnapping. Does Colt dare trust Cassandra with Sons of Liberty secrets? More importantly, can he trust her with his heart? And will Colt ever trust Cassandra enough to love her as she longs to be loved? Carley's first book, 'No Gentleman Is He', was released by Tirgearr Publishing on March 7 of 2013. 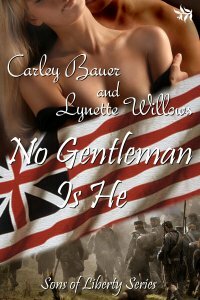 The first in the Sons of Liberty series, written by Carley and her co-author, long-time friend and writing partner, Lynette Willows, can be found on Kindle, Nook, Smashwords, ITunes, Kobo, All Romance Books, iTunes, BookStrand, Sony and OmniLit. 19 April 1775 is one of the most important dates in American history . . . the official start date of the American Revolutionary War. To commemorate the 238th anniversary of this war, join us from 19-21 April as we knock back the price of No Gentleman Is He by Carley Bauer and Lynette Willows to just $2.38! Order No Gentleman Is He Today! “Hush, they come,” Jackson warned. In the silence, there was no mistaking the heavy footfalls of British soldiers walking in cadence, the sound of marching increased as they neared where Colton and the rebels were hiding. Fortunately, the British still went by “fair warfare” rules, conspicuous in their battle scarlets, marching in rows out in the open. It made them sitting targets. The British would soon learn the tactics of America’s new warfare style of stealth ambush. When the soldiers had filed past, Jackson quietly relayed what had happened in Lexington while they all huddled close to listen. “And no one knew which side fired the initial shot?” Colton asked. “Was our message passed in time?” Colton asked, glancing between Jackson and Hunter. Far off shouts behind them halted the conversation and all heads turned. A reddish orange glow appeared over Concord. The British were setting fire to the town. Get your copy for just $2.38, through Sunday, 21 April. 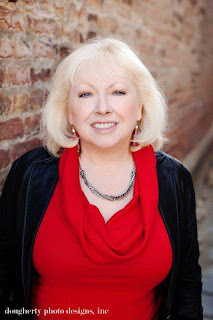 Today we have Author, Charlene Raddon with us. Charlene has graciously agreed to allow me the privilege of an interview. CB: Good Morning, Charlene. Thank you for your time. Tell us about your earlier work, and what piqued your interest in writing. CR: My first book was a time travel romance, although I had no idea what the word ‘genre’ meant then, let alone what genre I was writing. Unlike so many authors, I never intended or even thought about being a writer, but I loved to read. One morning I woke from a vivid dream that drove me to drag out a typewriter and start writing it down. Nine years’ worth of studying writing resulted in Time Weaver. The first chapter won me a scholarship to the Park City Writer’s Conference. Unfortunately, no one was buying time travels then. An editor told me it was too unusual to sell as a first book, that I should write a regular romance, sell it and a few more, then maybe I could sell Time Weaver. So I wrote a romance I called Brianna. That book won first place in a contest, then became a Golden Heart Finalist in 1991. I signed with an agent and less than two years later received a three-book contract with Zebra Books, an imprint of Kensington Books. I had become a writer. CB: I'm amazed to find you wrote about time travel long before the genre became a popular sell. You're an author ahead of your time. Any particular reason you chose that genre or are you one of those gifted writers who have your finger on the pulse of your readers? CR:I don’t know why I chose a time travel except that the dream that inspired me was set in the past, but everyone always says “write what you know.” Well, I didn’t know anything about the past then, only that I love tales of the Wild West. So I started with a contemporary and turned it into a historical. It wasn’t until after all those years of work that I decided I may as well try to get it published. CB: Certainly your novels sell well. I'm sure your time travel will be a huge success! You have three books now available at Tirgearr Publishing. Can you tell us about those? CR: The first of my books Tirgearr published for me was Forever Mine. I chose to do it first because had been my most successful paperback, even winning a Romantic Times Reviewer’s Choice Award Nomination. My second book, Tender Touch, was my second book I called Brianna when it became a Golden Heart Finalist. My third book, To Have and To Hold, is the one I think is probably my favorite. I love the characters and the setting, and I feel it’s the best written of my books. CB: Wow! 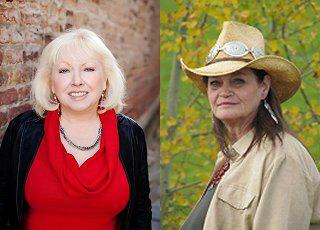 Romantic Times Reviewers Choice and Golden Heart. Quite amazing accomplishments. Where can readers purchase books now available? CR: Amazon, Barnes & Noble, Smashwords, Tirgearr Publishing and other e-book stores. CB: You've enjoyed quite a bit of success with your books. Do you have a formula? Do you prefer your novels more story or character driven? CR: I prefer character driven books, but I am a very visual writer so my settings generally play a big part in my stories. Some began with a character, some with a situation. My first book published by Zebra Books was Taming Jenna, which came from a lunch session with my critique group. I was trying to come up with a new story and asked one of the members I knew had a great imagination to give me an idea. She said, “Write about a woman who has to find a man she can only identify by a scar on his bottom.” And Taming Jenna was born. It’s a fun story. CB: I much prefer reading character driven novels. A good story can only carry a novel so far. Characters rich in strength appeal to me most. I read that John Jakes characters are modeled physically after someone he happens to see on TV or a movie. Mine are simply conjured up in my imagination. Where do you get your ideas for your characters? CR: They just come to me, really. I guess I could say that at least a couple of my books are character driven in that before I even started the book, while the plot was just incubating in my mind, the characters were jabbering in my head telling me about themselves and what to write. There were times when they refused to do what I wanted them to do in the book, and other times they seemed to act upon themselves and do things I never planned. I enjoyed those interactions. Physically, I have used various aspects of a person’s character or appearance. I took one friend’s gorgeous eyes for one of my heroines, and another friend’s lush lips for yet a different heroine. Oddly, I find it easier to create my heroes than I do my heroines. At times I wonder if maybe I had been a man in previous lives, as I seem more able to get into their heads. CB: You're involved in all aspects of writing, often helping other authors at the drop of a hat. What is your time/management formula? CR: I have no managerial talents whatsoever, or any self-discipline, one of my biggest regrets in life that I’ve always struggled with. Usually, I’m attempting to do several things at the same time. In fact, my husband likes to say I’m incapable of doing only one thing at a time. It drives him nuts that I can read a book, play games on my Kindle or needlepoint and watch TV at the same time. I do what I’m driven to do at the moment. Not my best quality. CB: What works in progress are you currently absorbed in? CR: LOL. I’m supposed to be reworking Time Weaver, but something is always interfering. I just turned in my next book to be e-published, The Scent of Roses. It’s a sort of sequel to my latest release, To Have And To Hold. And I’m waiting to get news back about the possible publication of a totally new book I finished last year, Divine Gamble. CB: We'll be anxiously awaiting news on The Scent of Roses. Tell us what motivates you? CR: A never-ending urge to create. I’ve been creative and artistically inclined all my life. My major in college was Fine Arts. CB: My daughter was a fine arts major, as well. There is a definite pattern of seeking out the most creative outlets through an artist's life. Any other artist endeavors outside of writing and graphic arts? CR: I love to design digital scrapbooks, needlepoint and crochet, and if I had a place to do it, I’d dye more Ukrainian eggs. That’s a wax-resist tie-dye sort of process that requires lots of room for several bottles of dye. CB: I often refer to people in our generation as the pioneers of the internet. Our everyday lives have changed greatly from those of our parents. The information super highway often resembles a roller coaster, where we hang on for dear life with every twist and turn. Books, like music and other forms of entertainment, have taken a turn with the advent of technology. How easy or difficult has it been for you personally to adjust? CR: I’d say fairly easy, though there were lots of moments when I struggled and nearly gave up. I still haven’t learned how to use all the features on my cell phone, and it isn’t one of the fancy ones; it’s only a track phone. My granddaughter has refused to try anymore to teach me to text. CB: Oh, my first response to texting, was to cringe. Thankfully, I've adjusted, or I might never have contact with my children! Do you find it more or less advantageous to connect with your fans on social media sites? CR: I think social media is great. There are so many more opportunities now than in the old days when you had to do book signings, attend lots of conferences, do tons of mailings of flyers and brochures to build a fan base. Now you can do it from your desk chair. Thanks so much for your time this morning, Charlene. I'm sure you've piqued the curiosity of our readers. We'll leave links where your books can be purchased! Charlene Raddon took up writing over thirty years ago when she awoke from a dream she knew had to be put in a book. She’s been writing ever since. 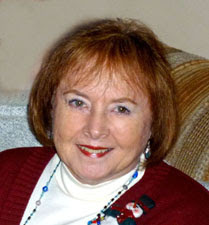 Five of her historical romance novels were published in paperback by Zebra Books. Most of them have won awards, received high ratings and been published internationally. Three have now been released as e-books, with more to come in the near future. She loves being an empty nester, free to travel with her husband. Still involved with her children and grandchildren, Carley loves big family dinners. Some of her other hobbies are fashion, the occasional bite of the Big Apple where the excitement feeds her natural love of city life and home decor, which boasts a collection of Fenton Glassware. Carley & Lynette's Fan Page! The Sons of Liberty series! The best book I have read in a long time.The characters were very strong. Cassandra was spirited and intelligent. Colton was a dark haired man full of passion and strength. They're love story drew me in. I felt as I were living it, though I have to admit some parts made me blush (I felt I was peeking). I must say this was reminiscent of the early days of fine, historical romance stories. I found myself immediately captured by Casey and Colton's personalities. Throughout the story there was a bevy of strong characters who entertained and lived in a period of time weaved around historical events of the American Revolution. From the opening scene of a struggling mare needing help in delivery, to the end scene of kidnapping, I found my interest captured. The only thing that jarred me from an engrossing read were a few transition bumps in scenes. The time period came alive with great descriptions of life on a working horse farm. Being an avid horseman, I found the descriptions of the day to day operations and animal behavior true to life. Needless to say, Lynette and I are thrilled with the reviews we've received! Where can you download "No Gentleman Is He"? Download and read. We'd love to hear from you! View From Sixty, the title I chose for this blog, is both literal and metaphoric. Our view and perception encompasses a larger, panoramic vision from sixty floors up--or 60 birthdays. My interests are wide and varied. Writing (obviously), politics, history, genealogy to name a few. I hope you'll join me in this new journey--join in and give some feedback.